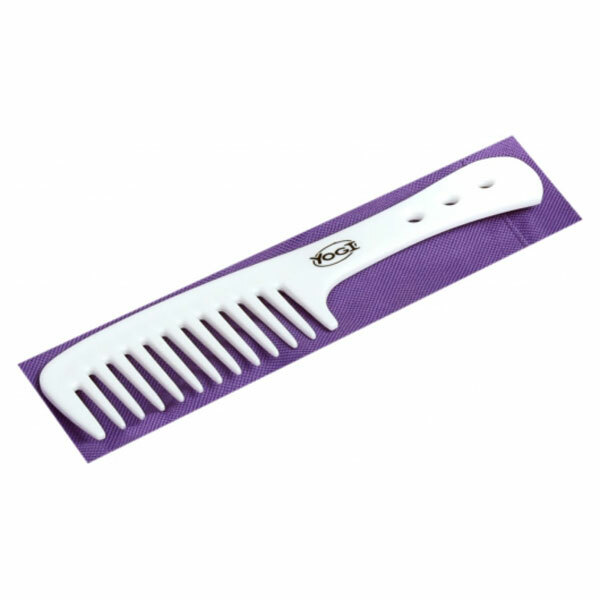 Yogi Wide Tooth Comb is perfect for combing the hair through before styling. The wide teeth allow the hair to easily slide through the hair reducing tangles. This comb can be used with hair conditioners, treatments and protection sprays etc.